Narrator Kip Andersen has a question: Why don’t mainstream environmental groups come out against meat? 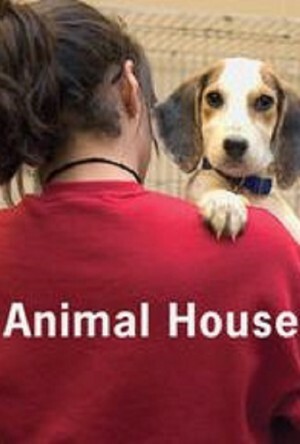 What’s an interesting question quickly becomes unanswered, however, as the film simply turns into a screed against animal products. 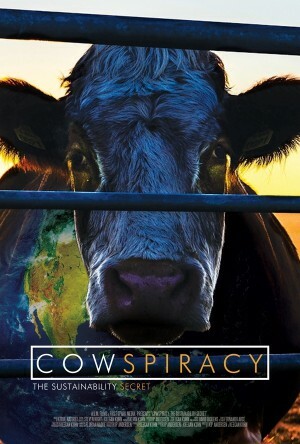 Despite the name “Cowspiracy,” the film often drifts away from cows and conspiracies. At the beginning, Andersen describes himself as someone looking to save water in drought-plagued California. His quest to use less water leads him to look at water use in meat production, deforestation, fishing, and backyard duck farming. This leads him to question environmental groups on why they don’t advocate that people eat less (or no) meat. He doesn’t really get answers, from which he segues into spending the final third of the film pushing for veganism. Despite the name, the film often drifts away from cows and conspiracies. 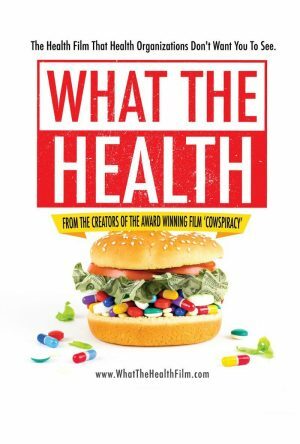 The supposed “conspiracy” angle only comes in two-thirds of the way through the film, when Andersen interviews a spokeswoman with the Animal Agriculture Alliance. He posits that Big Ag could be influencing environmental groups to avoid meat-reduction policies. Andersen offers no evidence for his speculation, but asks the Alliance if meat companies are funding environmental groups. The Alliance doesn’t know what organizations meat companies donate to—if any. The answer is met with creepy background music, but the music merely covers for the filmmakers’ lack of substance. Andersen also trots out activist Will Potter, who says (correctly) that animal and environmental terrorists are considered a top domestic terror threat. Potter claims not to understand why this is the case—cue the conspiracies about Big Ag influence—but the FBI is pretty clear on the matter, noting that animal and environmental terrorist attacks have caused over $100 million dollars in damages, and have threatened people’s lives. 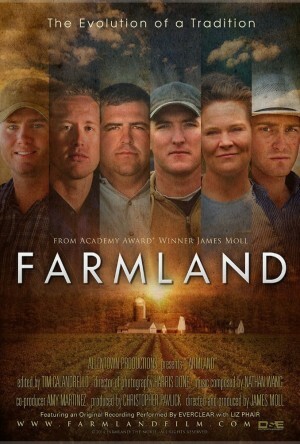 The film then shifts to Andersen’s solution: Stop eating meat and adopt “veganic” food, meaning vegan and organic (“veganic” farmers don’t use animal manure as fertilizer). Along the way, the film’s narrative is shepherded by exactly the types of people you’d expect. There’s Richard Oppenlander, who runs an organic vegan food business; Demosthenes Maratos, a self-identified “vegan punk” (yes, her first name is Demosthenes); Will Tuttle, a vegan activist who preaches a “World Peace Diet” that tells people to give up animal products; activists with the vegan Sea Shepherd Conservation Society, labeled a pirate group by a U.S. federal court; Lauren Ornelas, a vegan activist who runs Food Empowerment Project; and Will Andersen, who leads GreenVegans.com. “I knew I had to stop eating all animal products,” Andersen concludes, pretending that his film was an intellectual journey. However, a quick internet search reveals that Andersen has been an “active vegan” since at least 2010—well before the film was made. There are lies, damn lies, and statistics, as the saying goes. Much hullabaloo is made by Andersen about how much water goes into a pound of beef. Water use statistics range quite a lot. Andersen claims that one pound of beef requires 2,500 gallons of water, which is close to a figure given by the anti-meat group PETA. National Geographic and WaterFootprint.org, however, put the figure at about 1,800 gallons. A beef industry scientist puts the number even lower, at 441 gallons. The numbers mean less when you put them into context. Andersen shies away from discussing water use when it comes to other products—food or otherwise. 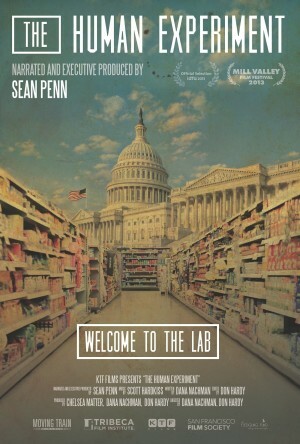 A quick look shows why: Nuance and detail detract from the vegan narrative the filmmakers push. A pound of chicken requires 468 gallons of water—only slightly more than a pound of rice—while a gallon of coffee requires 880. Chocolate? Nearly 3,200 gallons of water per pound. If everyone drank a cup of tea in the morning, it would “cost” 8 trillion gallons of water per year. And the US uses about 400 billion gallons of water every day, not just on food but consumer products, energy production, etc. In this light, beef is only a small portion. Water is a renewable resource. It doesn’t disappear when we use it. The water cycle is also complicated and touches on issues like groundwater use, freshwater vs. saltwater, or the use of energy to convert water to a usable form. And the water footprint can differ between consumer products. For beef, 94% of its water footprint is water going to crops and grasslands— “green water,” which is essentially rainfall— as opposed to water that comes from underground. Only 3% of beef’s footprint is “grey water,” which is an indicator of water pollution. There’s a simple reason for that: The report has issues. The study came under criticism for using different methods to calculate transportation emissions versus agricultural—a point the report’s own authors conceded is valid. The report was revised in 2013, something the filmmakers don’t address. Questions abound. What about meat reduction? What about eating more chicken instead of beef? What about focusing on municipal water waste instead of food? What are the costs of “veganic” agriculture, and can it provide enough food that consumers want? Ultimately, “Cowspiracy” does not discuss nuances, instead opting for a simplistic “meat bad, vegan good” message. That’s not the sign of a balanced film, but one that exists merely to serve the filmmakers’ agenda. The "sustainability secret" turns out to be a pile of self-indulgent, vegan propaganda. Cowspiracy provides a facile solution, dressed up with shoddy numbers, and in its effort to push a predetermined agenda it doesn’t begin to answer the questions a person should ask when deciding what to eat.